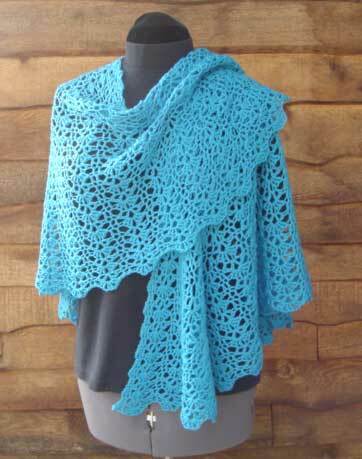 Recently I was asked to pick my favorite 3 designs that were published in 2010 for the Crochet Awards ballot. The 3 I picked are all lace designs. Guess that takes me back to my Tomboy Lace roots. Lace with a Twist Wrap published in the March/April 2010 issue of Crochet! magazine. This was my first design I ever sold, though a later sell was my first published design. 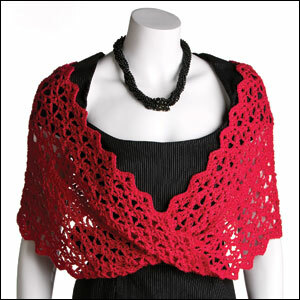 Lace Embrace Shawl published in Book 1 of the Debbie Macomber Blossom Street Collection. 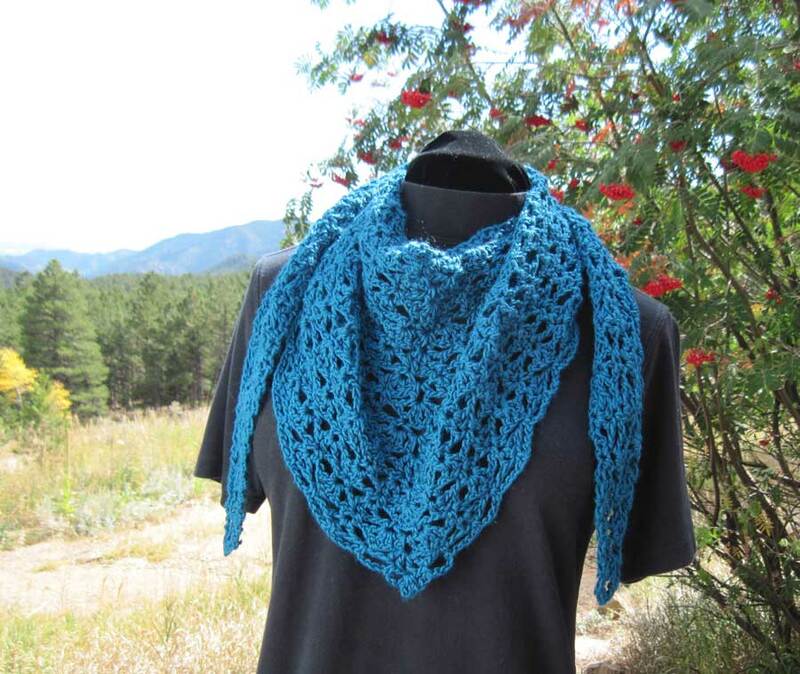 This was at the time one of the largest pieces I had sold and had a very tight turn-around between the time the yarn arrived and when the publisher needed the sample in-house. Little Wing Shawlette published in the Fall 2010 Issue of the E-zine “Crochet Uncut”. This was maybe the most fun of the 3 designs. I had such a great time stitching up the design. Everything from having the ideal yarn on hand and swatching to find a stitch pattern I adored, to having beautiful colored leaves in my front yard during the photography. Voting for the 3rd Annual Crochet Awards is now open until March 30th, winners will be announced on the Getting Loopy Podcast , April 18th. You can find the ballot here on the CLF website. I would love your vote for me as Best New Crochet Designer, but either way, please do vote.